Some consider sleep an unsolved mystery of Neuroscience but it is much more than that. It is actually a puzzling question of Biology. Why do animals sleep? What happens in our cells – all of them – when we sleep? Is there a core, biological function that must take place during a state of lost consciousness? We are fascinated by these questions and we approach this puzzle without any bias or dogma. We made tabula rasa of everything we know – or we think we know – and we started from scratch. Sleep is of the brain, by the brain and for the brain. Or is it? What are the real consequences of sleep deprivation? Does sleep play a vital function? What are the biological processes that regulate sleep? Revisiting the two-process model. How much sleep do we really need? Do sleepless animals exist? Can we study fly sleep to understand consciousness? Some of the questions we are currently addressing in the lab. 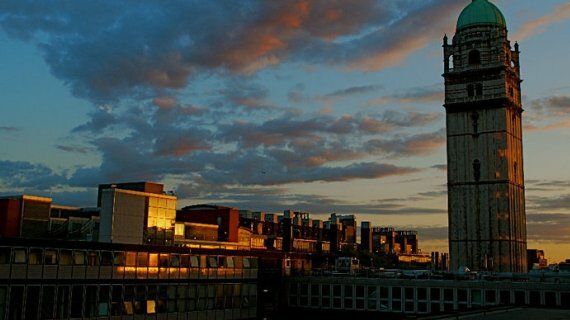 Our laboratory is part of the Department of Life Sciences at Imperial College London, in the South Kensington Campus right in the very heart of London. Imperial currently ranks 8th in the University World league, and 3rd in the UK. Our Department was judged by Times Higher Education to be the top ranked university Department in the UK for research intensity in Biological Sciences. Find more about the facilities of the laboratory and those of the Department [here] and learn about the current team [on this page].